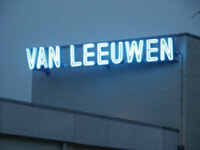 Van Leeuwen Test Systems B.V., shortly known as VLT, has a track record of 60 years and is today one of the few companies which supplies state of the art Vehicle Testing Equipment combined in fully integrated Test Lanes. These Test Lanes have a high level of Computer Automation, including Vehicle Tracking Systems, with a capacity of 20 to 25 vehicles or even more per Test Lane per hour, with half the number of inspectors. Our clients tell us that the VLT Test Lanes are up to 50% faster. VLT has automated everything as much as possible, even the visual inspection. Above and Under Carriage are fully computer guided with less human influence and this means less possible errors by inspectors. But maybe the most important aspects for decision-makers are the user friendliness, the high throughput, the paperfree systems and minimum human influence - the machine makes the decision! Correct and true! Re-tests after failures are easy and quick! Only the fail items need to be re-tested: the computer system knows exactly what has failed and directs the vehicle straight up to the device of the Test Lane where the re-test has to be executed, simple and fast! But even more important for the operator is the high technical level and durability of the equipment, especially for high workloads. 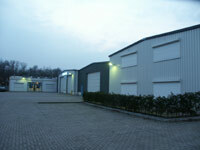 VLT also has equipment for vehicle testing stations and equipment for workshop use. We know from our customers that down time is very expensive and often gives the organisation a bad name! VLT understands this and for our products the slogan is “only the best is good enough”. Our equipment is designed and built by experts for a high volume of work and minimum of maintenance to serve the operator and his clients. 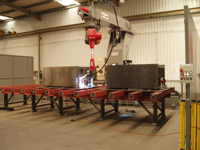 VLT has its own R&D to bring the high level of products even higher. VLT is definitely the “Innovator” in Professional Vehicle Test Lane Equipment for Annual Vehicle Testing in the last decade although we are also known for End of Assembly Lane Testing for Car Manufacturers. In case you have plans to invest in Vehicle Test Lane Equipment, VLT definitely is your best choice! Let us, together with you, make your new test facilities! VLT means value for money, every day again! VLT, Solution Providers for Vehicle Testing.